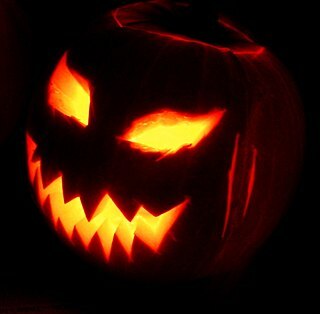 (2016) "Now That We're Dead"
Halloween or Hallowe'en, also known as Allhalloween, All Hallows' Eve, or All Saints' Eve, is a celebration observed in several countries on 31 October, the eve of the Western Christian feast of All Hallows' Day. It begins the three-day observance of Allhallowtide, the time in the liturgical year dedicated to remembering the dead, including saints (hallows), martyrs, and all the faithful departed. Bogotá, officially Bogotá, Distrito Capital, abbreviated Bogotá, D.C., and formerly known as Santafé/Santa Fé de Bogotá between 1991 and 2000, is the capital and largest city of Colombia, administered as the Capital District, although often erroneously thought of as part of Cundinamarca. Bogotá is a territorial entity of the first order, with the same administrative status as the departments of Colombia. It is the political, economic, administrative, industrial, artistic, cultural, and sports center of the country. Roberto Agustín Miguel Santiago Samuel Perez de la Santa Concepción Trujillo Veracruz Bautista better known as Robert Trujillo, is an American musician and songwriter. He has been the bassist of the American heavy metal band Metallica since 2003. He was also a member of crossover thrash band Suicidal Tendencies, funk metal supergroup Infectious Grooves, heavy metal band Black Label Society, and has worked with Jerry Cantrell and Ozzy Osbourne. 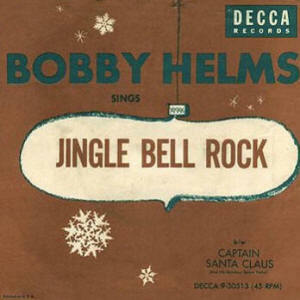 "Jingle Bell Rock" is an American popular Christmas song first released by Bobby Helms in 1957. It has received frequent airplay in the United States during every Christmas season since then. "Jingle Bell Rock" was composed by Joseph Carleton Beal (1900–1967) and James Ross Boothe (1917–1976). Beal was a Massachusetts-born public relations professional and longtime resident of South Ocean Avenue in Atlantic City, New Jersey, and Boothe was an American writer in the advertising business. Immortalized is the sixth studio album by American heavy metal band Disturbed. The album was released on August 21, 2015 by Reprise Records, and is Disturbed's first studio album since Asylum (2010), marking the longest gap between two studio albums in their career. 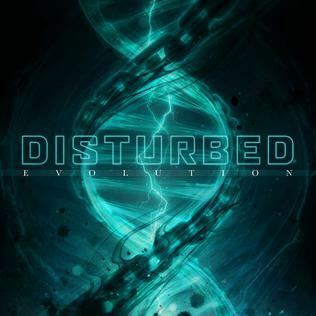 With 98,000 album-equivalent units in its first week, Immortalized is Disturbed's fifth consecutive number-one debut on the United States Billboard 200 chart. 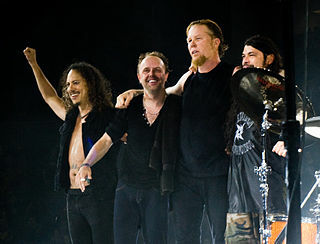 They are the third band in history to achieve this feat, after Metallica and Dave Matthews Band. The band also found cross-over success in the album's third single, a cover of the 1964 song "The Sound of Silence" by Simon & Garfunkel, which marked Disturbed's highest ranked single on the Billboard Hot 100 at number 42 and has since become Disturbed's biggest song since "Down with the Sickness". 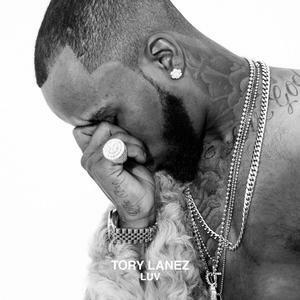 "Luv" is a song by Canadian rapper Tory Lanez. It was released on July 29, 2016, as the second single from his debut studio album, I Told You (2016). The song was produced by Cashmere Cat and Benny Blanco. It has interpolations from "Everyone Falls in Love" by Tanto Metro and Devonte. It received a nomination for Best R&B Song at the 59th Grammy Awards that was held in February 2017. "Hardwired" is a song by heavy metal band Metallica. It was released as the lead single from their tenth studio album, Hardwired... to Self-Destruct (2016), on August 18, 2016 as a digital download. The song was first played live near the end of the band's show at U.S. Bank Stadium in Minneapolis on August 20, 2016. The song received a nomination for Best Rock Song at the 2017 Grammy Awards. "Still Breathing" is a song by American punk rock band Green Day. It was released on November 12, 2016, as the second single from their twelfth studio album, Revolution Radio (2016). It is considered to be an emotionally dark song that explores the theme of individuals finding strength in the face of hardship and tough times. The song's music video – released on November 7, 2016 – reflected upon that theme. The Boy Who Died Wolf is the second studio album by American rock band Highly Suspect. It was recorded in Bogotá, Colombia and Brooklyn, New York. The album's lead single "My Name Is Human" reached No. 1 on Billboard's Mainstream Rock chart, the band's first single to do so, and was nominated for Best Rock Song at the 59th Annual Grammy Awards. The album's second single, "Little One", had reached number 2 on the same chart as of October 2017. "Redbone" is a song recorded by American rapper and singer Childish Gambino, the stage name of Donald Glover. It was released on November 17, 2016, and serves as the second single from his third studio album "Awaken, My Love!" The song received three Grammy Award nominations including Record of the Year at the 60th Annual Grammy Awards, eventually winning the award for Best Traditional R&B Performance. "Stay" is a song by Russian-German electronic music producer Zedd and Canadian singer Alessia Cara. The single was released on 23 February 2017 through Interscope Records. The official music video was released on YouTube on 18 April 2017. "Rise" is a song by English DJ and music producer Jonas Blue featuring American pop-rap duo Jack & Jack. It was released on 25 May 2018 by Positiva Records and Virgin EMI Records. The song has peaked at number three on the UK Singles Chart, becoming Blue's fourth UK top 10 hit. It is the sixth single of Blue’s debut album Blue. This article summarizes the events related to rock music for the year of 2017. "Happier" is a song by American music producer Marshmello and British band Bastille. Written and produced by Marshmello, with lyrics from Dan Smith and Steve Mac, it was released by Astralwerks on August 17, 2018. It reached number two on both the UK Singles Chart and the Billboard Hot 100 and is the highest charting single for Marshmello in both the UK and the US. It is also Bastille's highest charting single as well on both charts surpassing their 2013 single "Pompeii"'s number five peak on the Hot 100 and tying at its number two peak on the UK chart. "Mia" is a song by Puerto Rican singer Bad Bunny featuring vocals from Canadian rapper Drake. The song was released through Rimas Entertainment, OVO Sound and Warner Bros. Records on October 11, 2018 as the second single from his debut studio album, X100pre (2018). It was written by Benito Martinez, Aubrey Graham, Edgar Semper Vargas, Elvin Peña, Francis Diaz, Henry Pulman, Luian Malave Nieves, Joseph Negron Velez, Noah Assad and Xavier Semper Vargas, and produced by DJ Luian and Mambo Kingz. I, the Mask is the thirteenth studio album by the Swedish metal band In Flames, released on 1 March 2019 via Nuclear Blast. It is the band's first album since Whoracle to not feature longtime bassist Peter Iwers, and the first to feature drummer Tanner Wayne. ↑ "Listen to new Metallica track Atlas, Rise!". teamrock.com. October 31, 2016. Retrieved October 31, 2016. ↑ "Hear Metallica's Punishing New Song 'Atlas, Rise!'". Rolling Stone. Retrieved October 31, 2016. ↑ Childers, Chad (November 28, 2017). "Nothing More, Foo Fighters + More Nominated for 60th Grammys". Loudwire . Retrieved January 4, 2018. ↑ "Metallica's Limited Edition Free Halloween Masks Revealed". loudwire.com. Retrieved October 31, 2016. ↑ "Metallica: Atlas, Rise! (Live - Bogotá, Colombia - 2016)". YouTube . November 2, 2016. Retrieved January 4, 2018. 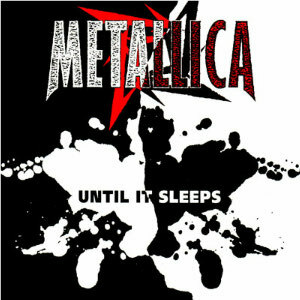 ↑ "Ultratop.be – Metallica – Atlas, Rise!" (in Dutch). Ultratip. Retrieved December 3, 2016. ↑ "Chart History". Billboard . Retrieved December 9, 2018. ↑ "ČNS IFPI" (in Czech). Hitparáda – Digital Top 100 Oficiální. IFPI Czech Republic. Note: Change the chart to CZ - SINGLES DIGITAL - TOP 100 and insert 201647 into search. Retrieved November 30, 2016. ↑ "Offiziellecharts.de – Metallica – Atlas, Rise!". GfK Entertainment Charts. Retrieved November 25, 2016. ↑ "Archívum – Slágerlisták – MAHASZ" (in Hungarian). Single (track) Top 40 lista. Magyar Hanglemezkiadók Szövetsége. Retrieved November 11, 2016. ↑ "Official Scottish Singles Sales Chart Top 100". Official Charts Company. Retrieved November 5, 2016. ↑ "Sverigetopplistan - Sveriges Officiella Topplista". Sverigetopplistan . Retrieved November 26, 2016. ↑ "Metallica Chart History (Hot Rock Songs)". Billboard. Retrieved November 19, 2016. ↑ "Metallica Chart History (Rock Airplay)". Billboard. Retrieved February 18, 2016. ↑ "Metallica Chart History (Mainstream Rock)". Billboard. Retrieved February 11, 2016. This 2010s rock single-related article is a stub. You can help Wikipedia by expanding it.